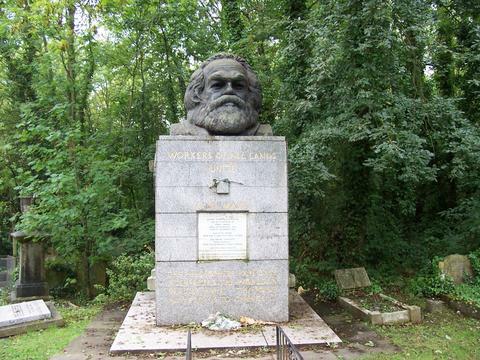 What was Karl Marx's enduring contribution to the social sciences? Does he deserve the status of being one of the founders of sociology, along with Durkheim and Weber? Did he put forward substantive hypotheses about the workings of the modern world that continue to illuminate our social world? Is there anything important for sociologists, political scientists, or economists of the current generation to absorb from Marx as they construct their own hypotheses about social processes and organizations? Throughout this work I have examined the logical features of Marx's social science, not its correctness as an analysis of capitalism. In discussing Marx's use of empirical evidence, for example, I have not been concerned to discover whether the available evidence confirms or falsifies Marx's account, but rather the logical question, namely, whether Marx uses evidence in such a way as to permit him to empirically evaluate his account. Thus my primary endeavor has been to examine Marx's practice as a scientist and to determine whether his efforts at explanation, inquiry, and justification are reasonable ones within social science. It may be appropriate in closing, however, to offer a view of the status of Capital as a body of theory about a social and economic system that continues to dominate our lives in the West. Is Capital still capable of offering scientific insights into the nature of twentieth-century capitalism? There is a sense in which Marx's own views would make him suspicious of the claim that an investigation of the social relations of production of nineteenth-century capitalism should remain valid for the social system that emerges from that mode of production over a century later. For Marx is insistent on the historical specificity of the relations that define any mode of production. He raises this point in connection with cross-modal judgments of timelessness (for example, the idea that precapitalist modes of production must "really" have been based on bourgeois exchange relations). But the point is equally valid in application to the development of a single mode of production over time. To the extent that the social relations of production that define twentieth-century capitalism are significantly different from those that defined nineteenth-century capitalism, Marx's analysis must be modified before it can offer relevant commentary on the present. There are unmistakable differences between capitalist property relations in 1850 and in the mid-1980s. On the side of capital, at least these changes have occurred: the accelerated separation of ownership and management, the increasing role of finance and credit within capitalist enterprises, the creation of the modem multinational corporation as the basic unit of capital, and the increased involvement of the state in the affairs of capitalist enterprises. Changes have emerged on the side of labor power as well: increasing government regulation of work conditions, the shift from industrial to service employment, the creation of effective units of organized labor in all capitalist countries, the rise of mass-based socialist parties with proletarian support in Western Europe, and the emergence of much more extensive social welfare systems in all capitalist systems. All these factors potentially may influence the dynamics of modem capitalism, and they all were of only minor importance in the economic structure Marx investigated. At the same time there are substantial continuities between nineteenth-century and twentieth-century capitalism. (It is these continuities that justify our identification of the modern American or Western European economies as "capitalist.") The fundamental requirements of capitalist property still exist, namely, the effective separation between a minority class that owns and controls the vast majority of all productive wealth and a majority class that possesses no productive wealth and is obliged to sell its labor power. Capitalism remains a system of class power and privilege -- witness the uninterrupted power and influence of the minority class that owns and directs the productive wealth in each capitalist nation. Capitalism remains a system in which class power and privilege derive from ownership of wealth -- witness the sharp inequalities of wealth and income that persist to the present day. Moreover capitalism continues to depend on the accumulation of capital, and it continues to reflect a deep conflict of interest between owners and workers in the productive process. Finally -- in Marx's technical meaning of the term -- capitalism remains an exploitative system: The social surplus is still expropriated from the class of immediate producers by the class of owner of productive wealth. Given these important similarities and differences between the property relations of nineteenth- and twentieth-century capitalism, it becomes a problem of continuing research -- of the sort Marx provided so extensively in Capital -- to determine whether the fundamental dynamic of contemporary capitalism should be predicted to resemble that of nineteenth-century capitalism. Only detailed empirical and theoretical analysis will permit us to determine whether the continuities are sufficiently fundamental to offset the alterations introduced by changes in the social relations of property and class. For we have seen that Marx's arguments for the "laws of motion" of capitalism depend essentially on assumptions about the details of capitalist relations of production, and those relations have not remained fixed. This finding suggests that the application of the findings of Capital to contemporary capitalism must be somewhat tentative; it is surely not possible to derive particular laws of motion of contemporary capitalism from Marx's analysis alone. Rather, Marxist social scientists and political economists must provide the sort of detailed account of modem property relations and economic institutions that Marx provides for nineteenth-century relations and institutions. This is not to say that Marxist social science must begin de novo. The continuities between modern capitalism and nineteenth-century capitalism are crucial to understanding modem capitalist phenomena, and Marx's analysis of those basic features of capitalism remains profoundly illuminating. But it is necessary to supplement, modify, and extend his account to draw particular conclusions about the course of modem capitalism. Significantly, contemporary Marxist social science conforms to this view of the relevance of Capital today. Thus Marxist political economists have put forward detailed studies of modem capitalist relations of production--e.g. Ernest Mandel's Late Capitalism and James O'Connor's The Fiscal Crisis of the State . Other Marxist social scientists have offered analyses of particular post-capitalist modes of production -- Rudolph Bahro's The Alternative in Eastern Europe or Donald Hodges's The Bureaucratization of Socialism , to name two. And Marxist political sociologists have refined and extended his treatment of class, property, and politics, for instance, Erik Olin Wright's Class Crisis & the State and Ralph Miliband's The State in Capitalist Society . What these works have in common is not pious deference to Marx's texts -- in Capital or elsewhere. Rather, they are unified in being vigorous attempts, using extensive contemporary data, to offer theoretical accounts of modem social institutions within a framework of analysis that is greatly indebted to Marx's treatment of capitalism. Contemporary Marxist social science is rooted in Marx's insights, but it is not confined to his conclusions or to the particular features he singled out for fine-grained analysis. Thus Marx's Capital established a research program for twentieth-century social science, and it is a program that has borne fine fruit indeed. So how does Marx hold up in the first decade of the twenty-first century? And how does this assessment of my own, written almost twenty-five years ago, hold up as well? Prof. Little, you say that you've generally avoided addressing, "does available evidence confirm or falsify Marx's account," or more specifically, what evidence is there for or against various aspects of his account. Instead you have focused more attention on whether Marx's "efforts at explanation, inquiry, and justification are reasonable ones within social science." Well, my first issue is that I don't know exactly what you mean, but to the extent I understand, it seems that the question you avoid would shed a fair bit of light on the questions you address. One question is whether some of the crucial assumptions that Marx builds into Capital are not relaxed even by the end of the third volume. The movement from value or simple prices to prices of production reflects Marx's finally allowing for the dynamic inter-sectoral movement of capital. That assumption is not even dropped in the second volume which indicates the distance between the model of reality (the reproduction schema) and the reality of the model. The dropping of said assumption creates the famous contradiction between the third and first volume. Marx never breaks free from the assumption that gold is the money commodity (and that money is ultimately a commodity) and that gold has a fixed value. That assumption allows Marx to assume that all changes in exchange ratios result from changes on the commodity side of the universal equivalent relation. He creates an invariable measure to examine the effects of the growth of the productive forces, i.e. rising labor productivity or, what is the same thing, declining unit values. But even with the specter of the return of gold as a store of value, we now have fiat money, and Marx's assumptions about the money commodity can only interfere with analysis of the international monetary system. For example, we have the puzzle today of why US Treasury debt has been so much in demand in response to so called uncertainty that even unsustainable deficits are not putting upward pressure on yields. US Treasury debt seems to have usurped or at least come to share the role of store of value with gold. Perhaps this is a last hurrah for the dollar before a panic reversion to gold? The problem is of course that Marx analysis started at the conclusion, and then fit facts into that conclusion, and the conclusion was wrong. His analysis is an attempt to scientifically prove that socialism was superior and inevitable, and this was simply incorrect. He never tried to understand capitalism or analyze it in itself, he only analyzed it with the goal of supporting his ideology. And that attitude isn't very likely to give you any fundamentally useful insights. "But you also presume that we have a class society of owners and not owners, and that is less and less true, and it seems to me to be less true in countries which have free economy, and hence are usually seen as more capitalist. :-)"
Really? Did he really post that? He takes what is so obviously the most true, and claims it is false! Incredible! I suppose he might mean to suggest that 401K plans and pension funds make people actual owners of capital. But they are not effective owners and controllers of capital. Dr. Little, Do you ever respond to comments? It would be interesting. As for me, I have read and re-read The Scientific Marx a couple of times, and have enjoyed it immensely. Of course the analysis of capitalism can only begin with Marx and continue with later thinkers. But without a Marxist critique, none of it makes sense to me. Sheldon, Yes, I do sometimes respond to comments. But only if there's something specific to say -- otherwise I'm happy to have the several perspectives represented by different comments speak for themselves. Your point about ownership and control is very true. And thanks for your comments about TSM!